With 2014 being the year of rawstyle, it’s great to see 2015 kicking off with another fresh take on the hardstyle sound. 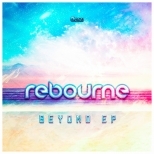 Rebourne opts for a softer approach to the genre with a gentle euphoric melody reminiscent of the millennium Balearic trance sound, and a beautiful dreamy vocal. The kicks are still tough without being over powering, and compliment the track perfectly. If not labeled hardstyle this would surely be the hard trance sound of 2015, simply awesome! !